Exceeding our clients expectations is the key to their happiness. Our clients are intelligent people with an astute eye for detail. They expect a high level of professional, attentive service from a company with integrity. Our clients require excellent design that suits their personal circumstance, budget, climate, and the aspect of their land. While acquiring elite quality of service and product, our clients appreciate value for money. The superior design and finish will be enjoyed by our clients, their family, and friends long after construction is completed, as the entire Garth Chapman Team is focused on delivering and exceeding all client expectations. 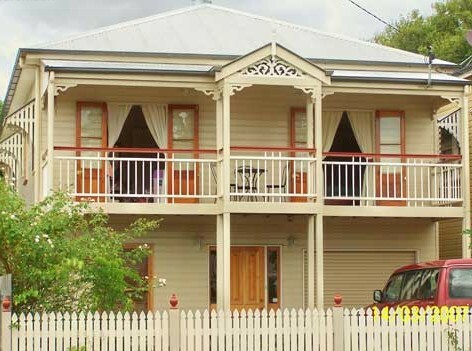 The quintessential look of a Garth Chapman Traditional Queenslander is unrivalled and unique. We are renowned for our distinguished appeal, achieved by authenticity of architecture; superior standard inclusions; and an attention to detail. Whether your preference is for a Traditional Queenslander, a Colonial home, a 'Sandstone' Colonial, a modern version of the previously mentioned, or a Contemporary Queenslander, we will ensure you receive the advice that enables you to have a home of style, class, and timeless character. The value of good design should never be underestimated.